How Do I Nominate My Property? I’m about to look in the window that Dad pointed out when my sister jumps back, screaming. There in the window, inside the replica of a trading post by the side of the road in the middle of nowhere at Fort Bridger, Wyoming, is a large black bear poised to attack! I’m immediately reminded of surprise snakebites delivered to pioneers while traveling through The Oregon Trail: Classic Edition computer game. My sister, age 5, was so scared she ran back to Dad, still screaming, the tail of her real raccoon-skin hat flying behind her. She’d picked up the hat from a reenactor playing Jim Bridger, the original host of the trading post and purveyor of items for people headed to Oregon City by way of the Oregon Trail. Sadly, she couldn’t keep the hat, but she still remembers the feeling of playing trader Jim; something that wasn’t conveyed while playing The Oregon Trail. To my dad’s credit he tried to create as authentic an experience for us as possible on our two-week road trip to visit family in Oregon. Knowing how much we enjoyed the game, he thought it would be fun to create a road trip for the trail’s 150th anniversary and to stop at significant places that were featured in the game. From Fort Collins, we picked up the Oregon Trail along I-80 and our first stop was Fort Bridger. And, like the game, it felt like it took forever to get to Oregon. Three days in the car with three kids under the age of 9 did probably seem interminable to my parents and, as I reflect on our trip, I’m amazed that they were so dedicated to making it a fun time along the way. Even though the internet was around in 1993 and we did have a modem, landline pick-up, Dad had to call state tourist bureaus to get more information about sites and their open hours. He even went so far as to play the game to “study” it further to make our road trip authentic. We kids only caught wise to Dad’s “studying” when our high scores kept getting beat. But his attention to detail paid off. At Three Island Crossing, I, at age 8, remember looking out at the Snake River and imagining driving our van across and knowing that we wouldn’t make it through the swift water even with the low water level. Seeing the wagon tracks along the scenic riverbed and trying to envision pairs of oxen and weatherbeaten wagons wading into the river seemed a death sentence. No wonder it took so many tries to ford the river. When we finally arrived at The Dalles and drove along the Columbia River, the enormity of what it actually took to cross the Oregon Trail settled on us. It took so much to leave a life behind and travel over 2,000 miles for the chance at a different life. Our three days in the car seemed a trial at times and we had air conditioning, fresh fruit and meat, and audio books. But it was worth the effort. Mom and Dad still recall the fun we had as a family learning and experiencing history in such a unique way. 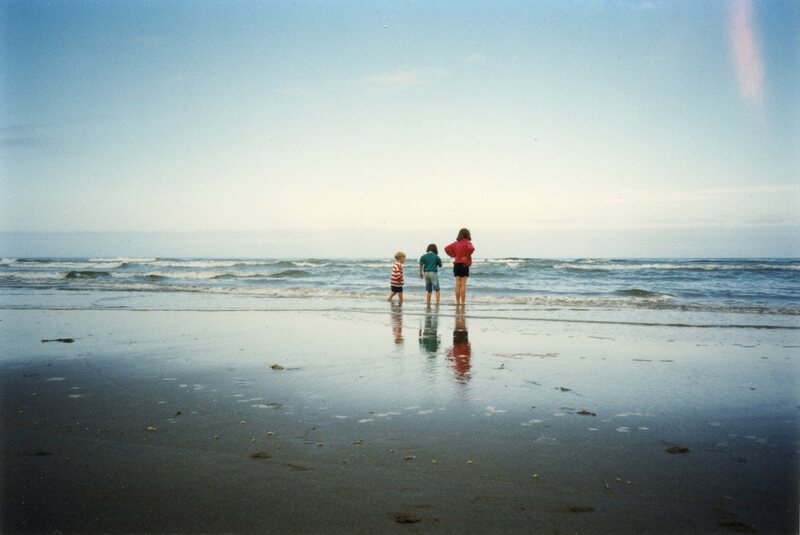 To celebrate our successful arrival at Oregon City, Oregon, our parents took us to the beach to see the Pacific Ocean. It was cold, and sand got everywhere, and after a day at the beach we were tired, but happy. 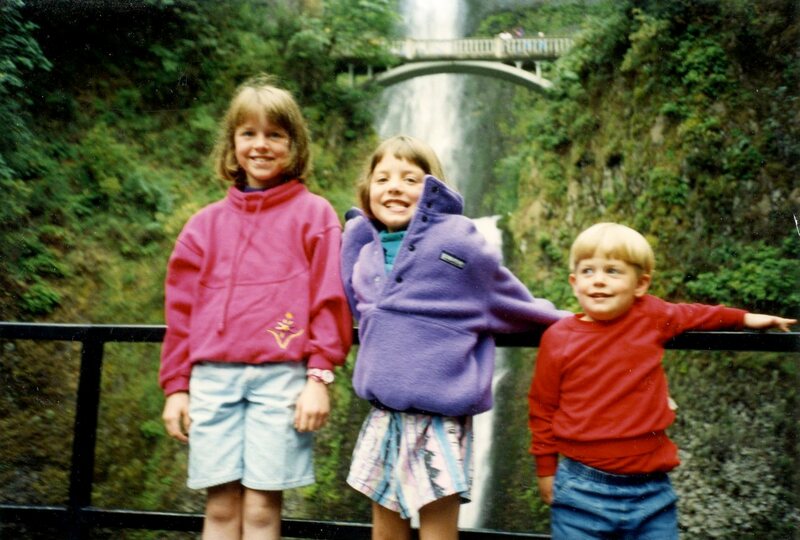 Thanks to my parents, my two siblings and I had a truly authentic Oregon Trail experience.